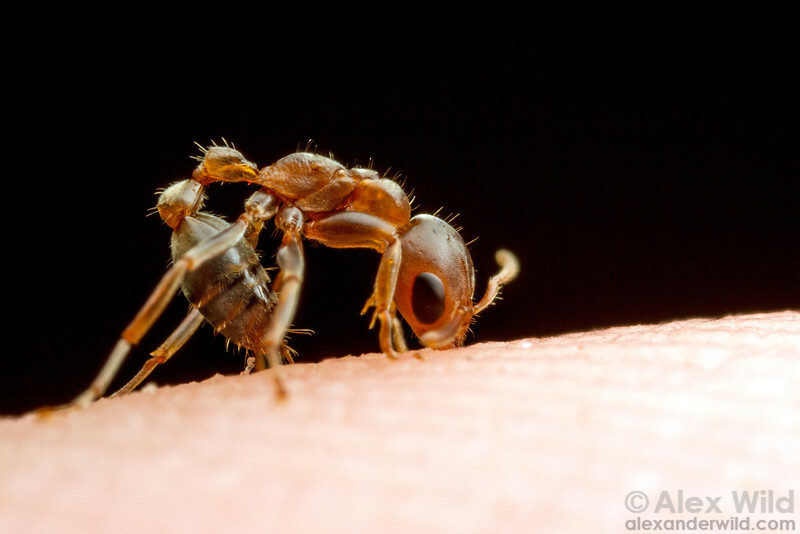 A Pseudomyrmex peperi acacia ant attacks a photographer who has brushed up against her tree. Note the standard ant stinging technique of anchoring with the mandibles for leverage to plant the stinger. Cayó District, Belize.